Yes... That is right Chocolate IS good for you! With thanks to lots of research it has now been proven that dark chocolate is good for you in moderation. So now we don't have to feel so bad about reaching out for that chocolate bar!! Research has found that eating dark chocolate will improve your cardiovascular system, as it lowers your blood pressure and reduces your risk of a heart attack by as much as 39%. This is due to the beneficial elements of flavonoids, antioxidant compounds which increases the flexibility of the veins and arteries. This does not cancel out those workouts though so using both side by side will certainly help. 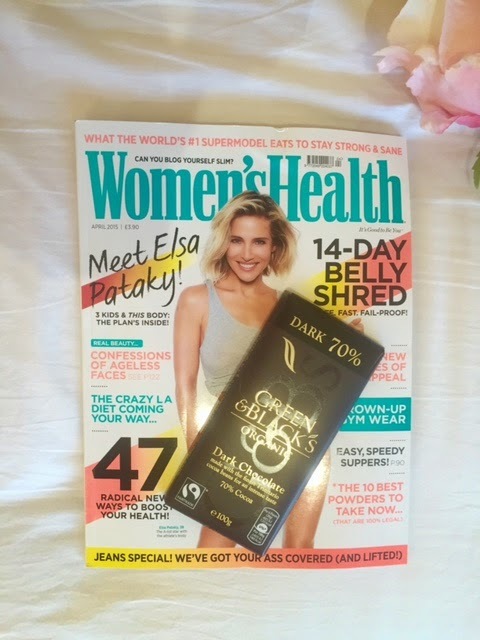 As I am sure you are aware there is distinctive different in taste between milk chocolate and the 70% dark chocolate, I am sure you can not eat as much of the dark stuff and the dairy? This is good because eating the dark chocolate you will not be eating so much, and as we all know small portions are better than the big ones. Thank goodness for that, next time your stressed from work or going through a tough break up don't feel bad about reaching for the chocolate as long as its the dark stuff. Researchers have found that when eating an ounce and half of dark chocolate a day it reduced their stress hormone levels. There has been some research done in London which shows that eating dark chocolate is good at protecting your skin against those bad sun rays. A group of people were given dark chocolate to eat over a period of three months and after that time it took longer for their skin to show that redness that appears when your skin starts to burn. Next time you are working hard at school, Uni or even work do not feel bad about reaching out for that bit a dark chocolates as it will actually help you. It had been noted that eating dark chocolate will actually improves the blood flow to key parts of your brain for 2-3 hours which increases your performance. Hope you have enjoyed this post, and has made you feel a little bit better about eating that chocolate bar!